Print, copy, scan and fax faster and cheaper than ever before! 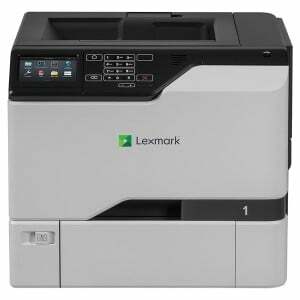 The Pro 477dw offers busy offices a fast, secure and exceptionally low cost printing. With print speeds of 55ppm it is one of the fastest multifunctions in its class. 10,000 (black) & 7,000 (colour) high yield toners maximise productivity and efficiency, meaning minimal maintenance tasks and maximum up time for your printer. This approach is not only greener but also reduces numerous costs and overheads. HP are widely known for their advanced expertise in security and the HP P477dw is no exception. Data protection and software security is and should be a growing priority for all organisations. HP's 'best-in-class' security management services offer all users peace of mind when it comes to protection from the ever-growing list of potential attacks. PIN protected print jobs also ensure sensitive data is only seen by those it's meant for. Access Control features also allow you to monitor and restrict colour usage easily and effectively. The bottom line is that the PageWide P477dw offers unrivalled speed and efficiency at a fraction of the cost from any similar multifunctions. 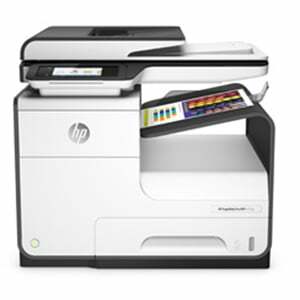 Entry level Office MFP for small to medium offices with up to 10 users who require professional quality Printing with fast and efficient document handling. Suitable for workgroups who print relatively low volumes, but where good quality output is needed. Very popular in most Business environments and also the Educational Sector. This MFP has low running cost if put on a fixed cost agreement which includes all toners, supplies and Service for the lifetime of the agreement. It allows you to Print, Scan/Copy & Fax. Wireless Printing, automatic supplies ordering(if on a managed agreement)55ppm print speed. Air Print. Enabling you to Print from an iPhone, iPad or iPad touch over a wireless network to the Printer. All Print Manufacturers base their toner page life on a 5% page coverage. Most General Office Printing is around 20% page coverage, but considerably more if you are Printing brochures or other high quality documents. If you are a Business, you can substantially reduce your Printing Costs and total cost of ownership by purchasing this Printer as a Managed box (meaning that you buy and own the printer as normal – but the supplies are all included on a fixed cost per page agreement which includes all toner, supplies and on-site support for the lifetime of the agreement). For full details please view the P477dw spec sheet or call 020 7378 4720 and speak to one of our experts. Purchase a HP printer and claim your cashback.